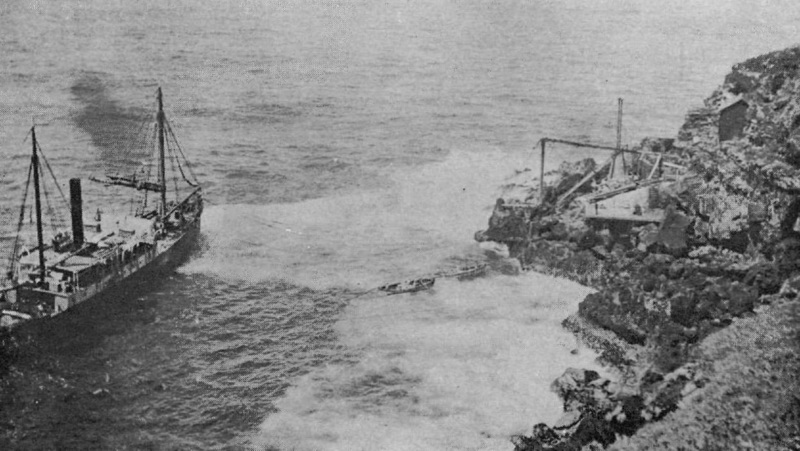 Koholālele Landing, circa 1900. Hawaiʻi State Archives. Portion of Reg. Map No. 683 of Koholālele, 1863 by S. C. Wiltse. Koholālele Landing, known to many today as “Paʻauilo Landing,” is one of Hāmākua’s oldest and most storied landing places. Located in the ahupuaʻa of Koholālele, Hāmākua, Koholālele Landing was constructed by the Kingdom of Hawaiʻi in the 1860s to serve as a landing and loading place for ships carrying goods to and from the area. 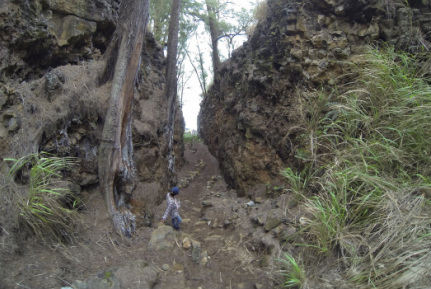 In its early days, it appears that fire wood and cattle were among the more common goods being transported from Koholālele Landing, but eventually sugar would become the primary good of export at the landing, as sugar cane production increased throughout Hāmākua. Eventually though, use of the landing was discontinued, as it gained a reputation for being very dangerous, and as ground transportation made shipping out of Hilo and Kawaihae more feasible. ​Prior to ships and sugarcane, however, Koholālele was well-known as a puʻuhonua, a sacred place of refuge. The cliffs of Koholālele were famous, known in moʻolelo to be a place where the akua sisters on Maunakea—Poliʻahu, Lilinoe, and Kalauakolea—would frequent, waiting to entice unsuspecting passerbys to ascend the mountain with them. 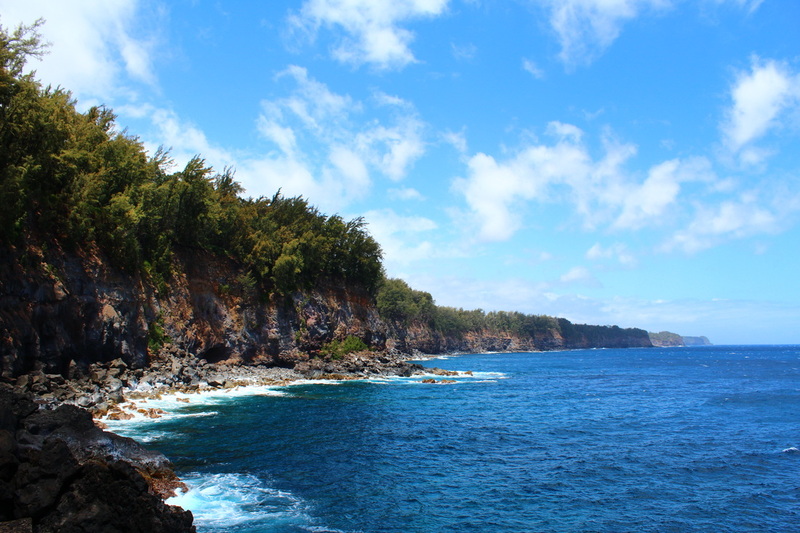 These high cliffs were also celebrated in mele, songs and chants, as favored places for fishermen to descend to the sea by rope, to fish or gather ʻopihi. Here, in Koholālele, is also where the moʻolelo of the great aliʻi of Hāmākua, ʻUmi-a-Līloa, as his father the great Hawaiʻi island aliʻi nui, Līloa, came to Koholālele before meeting ʻUmi's mother, Akahi-a-kuleana, in Hōʻea. View North from Koholālele Landing - Photo by N. Peralto, 2012. 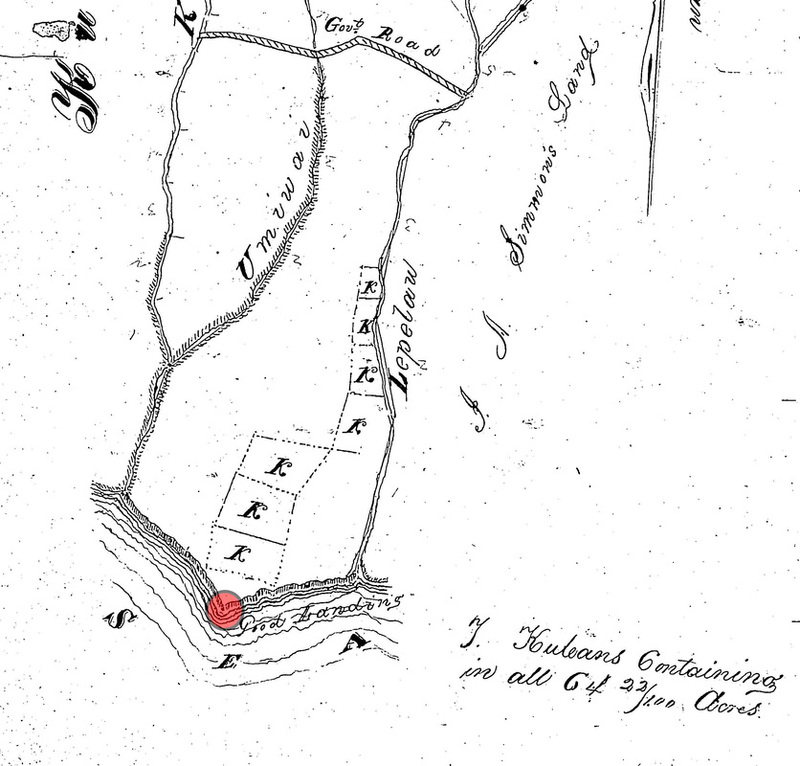 Koholālele is an extremely important place, and it remains as such for kamaʻāina of Hāmākua today. 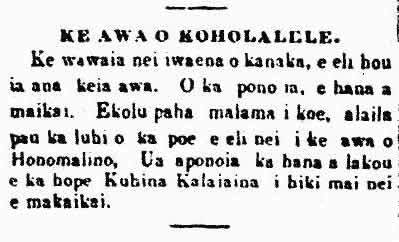 This ʻāina’s name, Koholālele, “the leeping humpback whale,” alludes to many of the reasons why kamaʻāina of this place understood it to be so important. In the ocean, the koholā (humpback whale) migrates each year between the cold waters of the north and the warm waters of Hawaiʻi. Throughout this journey, the koholā releases sacks of mucus, called hūpē koholā, in which ʻōhua, baby fish, like that of the manini, live until they reach maturity. As these hūpē koholā float throughout the ocean, they act as seed banks, replenishing the sea with new generations of fish. In this way, the place, Koholālele, served the spiritual function of ensuring the abundance of the ocean and its many resources. Laʻa Koholālele. Koholālele is sacred—from its most ma uka boundary at Puʻu o Kiha on the slopes of Maunakea, to the depths of its rugged seas—and it requires our care and protection. Koholālele Landing, from Richard Nelsonʻs "Notes on Wire Landings." To learn more about wire landings like Koholālele Landing, and how they were utilized, check out Richard Nelson's "Notes on Wire Landings Along Hamakua Coast on the Island of Hawaii," published in the Hawaiian Journal of History, 1974. "Pii ke kai ma Hamakua." 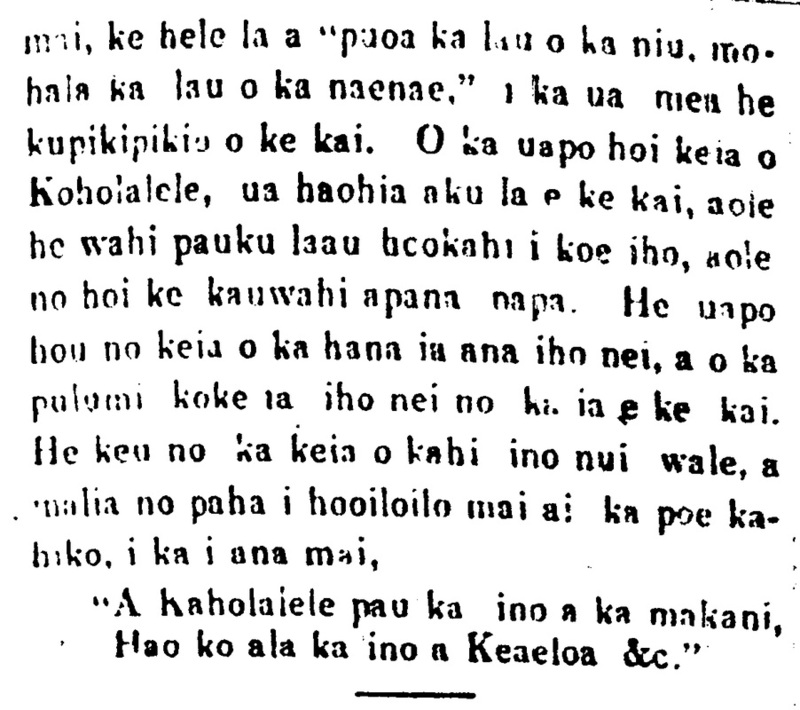 - Ka Nupepa Kuokoa - Nov. 30, 1867. Click on image to see the entire newspaper! Hao kōʻala ka ʻino a [ke Aʻeloa] &c."
"At Koholālele, everything is destroyed by the gales of wind, as the Aʻeloa wind forcefully rips through..."
* Note: Translation by N. Peralto. "Ke Awa o Koholālele." Ka Nupepa Kuokoa. Dec. 7, 1867. Click on image to see full newspaper! Ke wawā ʻia nei i waena o kānaka, e ʻeli hou ʻia ana kēia awa. ʻO ka pono ia, e hana a maikaʻi. ʻEkolu paha malama i koe, a laila pau ka luhi o ka poʻe e ʻeli nei i ke awa o Honomalino. Ua ʻāpono ʻia ka hana a lākou e ka hope Kuhina Kālaiʻāina i hiki mai nei e mākaʻikaʻi. It is being talked about among the people, that this landing is being dug out again. To be sure, it is being done well. Three months remain, and the tiring work of the people digging the landing of Honomalino will be finished. Their work was recommended by the Minister of the Interior who came to visit. 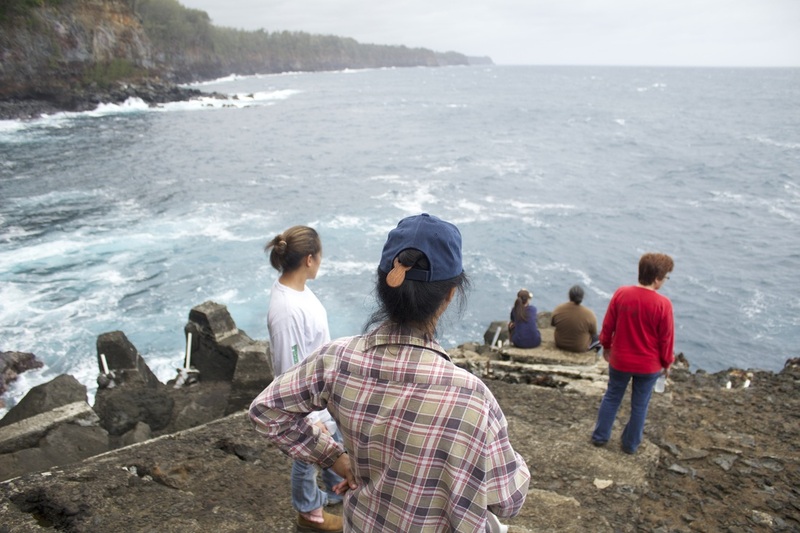 Click HERE to see what HuiMAU is doing to care for Koholālele Landing!